Here are the six best electric foil shaver models. The list is rated by overall customer reviews, and in reverse order ending with the top-rated shaver. Wahl is known as the choice of professionals. The quality of this option for the best electric foil shaver is outstanding. This shaver has been tested under water for over 30 minutes, to meet Wahl’s high product expectations. There is a one-minute quick charge, which will be long enough one full shave. This shaver uses a rechargeable lithium-ion battery, with a full hour and a half of shaving time per charge. You can use this shaver both wet and dry. It is fully waterproof, so you can shave in the shower, and then wash out the razor in the sink. There is a precision trimming blade to perfectly sculpt sideburns, mustaches, and beards. The primary reason for many of the lower reviews that reduced the overall rating of this shaver is the price. It is more costly than all other options on your list of the best electric foil shaver models. Product Dimensions: 10-inch shaver handle, weighs one-pound. Wet and Dry: Yes – waterproof. Experienced shavers will find this razor meets all their needs. It is a little expensive for a beginner, but is sturdy and durable. It may be the only cordless foil shaver you own. 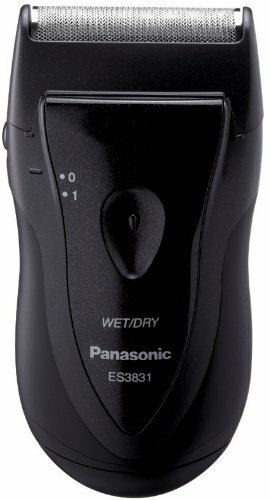 The Panasonic ES3831K is ergonomically designed to fit securely in the palm of your hand. It provides exceptional control for a smooth, comfortable shave. 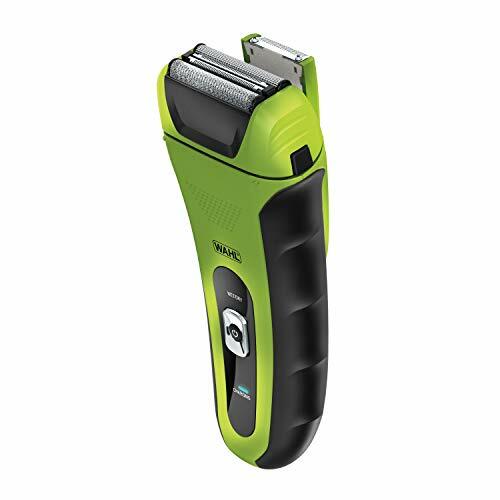 This shaver has an 8,500 RPM motor speed for quick and smooth shaving. The inner blades are tilted at a 78-degree angle to allow for less abrasion and better shaver control. You can put this shaver under the sink to clean in seconds. The shaver uses only AA batteries. If you do not use rechargeable batteries, you will need to keep spare batteries to always have access to this shaver. Product Dimensions: 4½ by 2½-inch handle with a 1½-inch shaver head. This is a great travel razor. It is perfect for sensitive skin types. 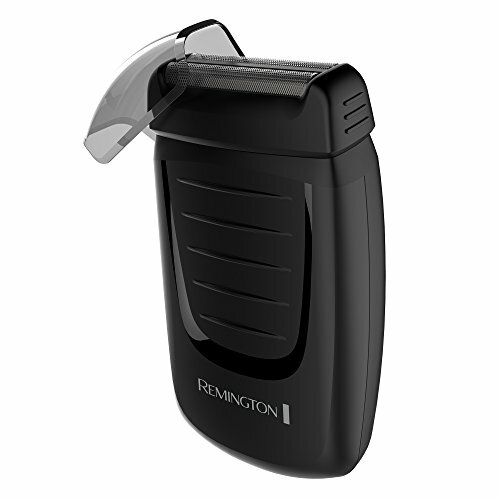 Remington backs up their foil travel shavers with a 60-day money back guarantee, plus a full 2-year product warranty. This is a perfect foil shaver for quick cleanups and comes in very handy for travel. There is a cleaning system for this shaver that helps keep the foils clean. This shaver has a special travel lock so it won’t accidentally turn on and drain the charge. Remington uses their dual foil technology, to make sure you get an extra close shave, but without the irritation of razor burn. The foils on this shaver can be a problem. When one begins to separate from the other, owners had to order a replacement head. Product Dimensions: 4-inch handle that weighs only 8-ounces. Individuals who are on the go a lot, and need a small travel shaver, will find this an excellent choice. This is a great option to carry in the car for those unexpected moments when you need a quick shave. Still undecided between rotary and foil shavers? See what options for rotary shavers we’ve looked at! The next best electric foil shaver is part of Braun’s series 9 design. There are five shaving elements, which are perfectly synchronized to give you a close, yet comfortable shave. 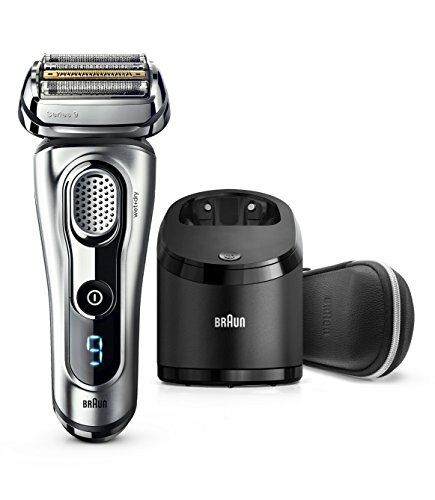 This shave uses Braun’s original SyncroSonicTM technology. There are over ten thousand little micro-vibrations, which give a smooth, close shave every time. You can recharge the battery in one hour. This foil shaver uses a titanium blade for exceptional durability that will handle even the toughest beards. This is an excellent option on your list of the best electric foil shaver models, but it is also the most expensive. Product Dimensions: 10-inch shaver – weighs just under 2-pounds. 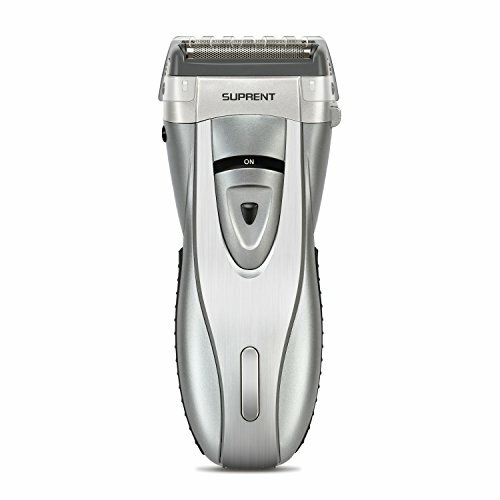 The price of this shaver dictates it is best suited for experienced shavers and individuals who have tough beards. Geemo makes the next to best-rated foil shaver on your list. One frequently appealing aspect of this option is the affordable price. It is a simple, yet durable shaver. This is a lightweight foil shaver that is easy to handle. There is a converter to allow your batteries to be recharged. Average power time is just under an hour. There is an extra trimmer on the back that pops up to trim sideburns, mustaches or sculpt beards. There weren’t many complaints or disadvantages mentioned for this option on your list of the best electric foil shaver models, except for the pop up trimmer being only about an inch wide. Product Dimensions: 5½-inch handle with a 2½ foil shaver head. You can use this handy little shaver for all types of facial hair, including shaping sideburns and sculpting of beards and mustaches. The final best electric foil shaver has the highest overall customer rating. It uses a four-blade cutting system that users invariably found worked extremely well. This shaver gives the closest shave with the maximum amount of comfort. The cutting system uses surgical steel blades for a clean and precise shave every time. 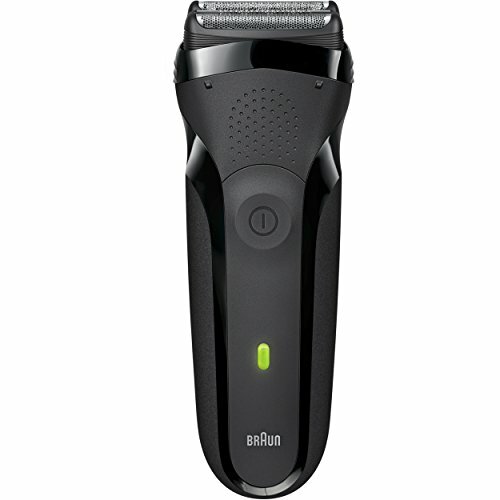 The rechargeable lithium-ion battery allows for over an hour of continuous shave time. It can also be recharged in around 5-minutes for a one-time shave. Three of the four floating blades work independently of one another. This allows the surface to adjust to the contour of every angle on your face. The handle is a full six inches, and with the charging platform, it is not the most convenient model for strictly travel purposes. Product Dimensions: 6-inch handle with a wide shaving surface. This is a practical foil shaver for all beard types and facial sensitivities. It is a little bigger than some electric foil shavers, so it is a little less convenient for travel. Foil shavers are a great option, especially if you have a tough beard or sensitive skin. These are the six best electric foil shaver models. If you’ve shaved with any of these choices, tell us about your experience. Lastly, if you think there is an electric foil shaver missing from our list, let us hear about those as well.